If you’re an employee, you know that any innovation or change to business processes that you might want to implement will need to be approved by your boss first. If you’re sold on digital marketing, you need to sell it to them too, and that’s not always easy. The Problem: To a person who isn’t on board with digital, many digital methods can seem abstract, which translates as unreliable and risky. We use Advanced Web Ranking to help manage and record the rankings of our clients, and to undertake competitor analysis for their industries. There is now a new way of advertising on LinkedIn which helps you target your promotions by geography, industry, company name, job type and more. Advertising on LinkedIn is not new – you have been able to do that for a few years now. However, LinkedIn has recently been developing it’s platform into a content sharing hub, and now they are ready to monetise that move. Following Facebook and Twitter, they have introduced ‘sponsored updates’ allowing you to promote any of your company page posts into the feeds of your target audience. These ads will show in the home page feed of your target audience, on both mobile and desktop devices. Users will be able to interact with them as they could with any other post, or they can hide them. It is a very easy platform to use, and you can have a campaign up and running quickly. All you need are a business page and a LinkedIn advertising account. Step 1. First you need to decide which post you want to promote, or craft a new post specifically for your target audience. Once the post is published, you will see a ‘Sponsor Update’ link to allow you to promote it. Step 3. Decide whether you want your payment method to be cost per click (pay whenever someone clicks, likes or comments on your post), or cost per impression (pay whenever someone sees your post). Step 4. Choose an end date – or run indefinitely and know that you can go in and switch it off whenever you like. Recent news and PR. For example, won an award? Let even more people know. eBook, whitepaper, research or other. Share knowledge – show you’re the expert. Promote new products or services you want a certain audience to know about. Do you have an old blog post or other piece of content which was amazingly successful? Repost that. We recommend writing a blog post or article specifically targeted at your LinkedIn audience. Like all ads, try and write an eye-catching headline, but remember that this post will be instream, if you make it too salesy, it might cause ad blindness, or people might purposely hide it. Remain professional, but sound human. Think carefully about your targeting – you want the content to match the audience. This is an exciting development, in particular for B2B or professional services firms. Content ads on LinkedIn did not prove to be super popular or effective, but it could be that the positioning was too cluttered, or ad blindness was a big factor. We are hopeful that with integration into the feed, and posts becoming more conversational and less salesy, results from LinkedIn advertising should improve. Fast and easy way to upload tags. 5) Fill the container up with tags. 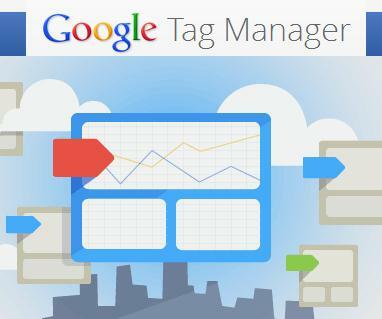 Now whenever you need to add new tags to the site – to track goals, remarketing or other campaigns – you don’t need to touch your website, you can just log in to Google Tag Manager and add them here. I think it’s a pretty useful tool to help online marketers, especially the ones who usually have to rely on developers to help them with their marketing tags.